When the church bells rang five times this morning, I was surprised that I was fully awake. I looked out the window and saw that it was already light outside. 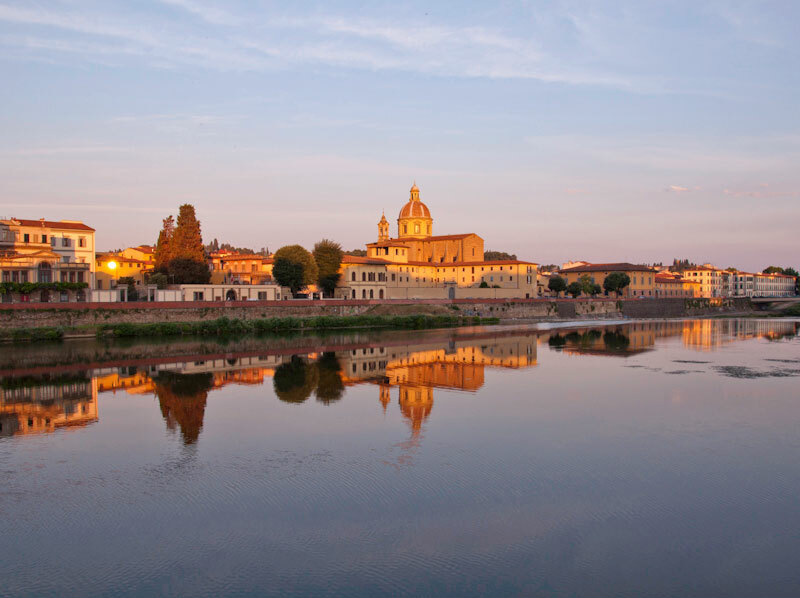 The sun hadn’t risen high enough yet for the ponte (bridge) to cast its long shadow on the Arno so I thought that I would finally go outside to take some photos. I had wanted to get up early to take photos of my beloved city and never woke up early enough. Even if I didn’t plan on it, it was actually the best thing I could do on a Sunday morning. 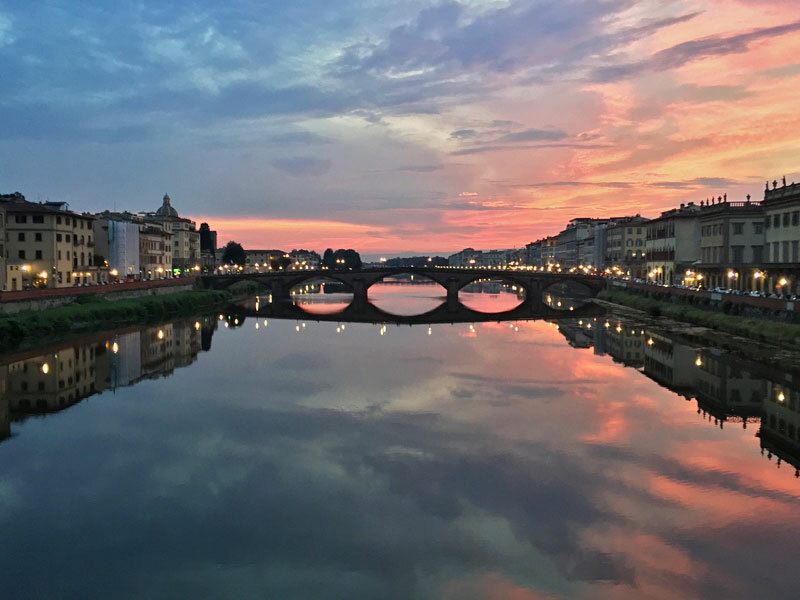 In the late evening, I always enjoy a walk along the Arno and stop on a ponte (bridge) to take a photo of the sunset. 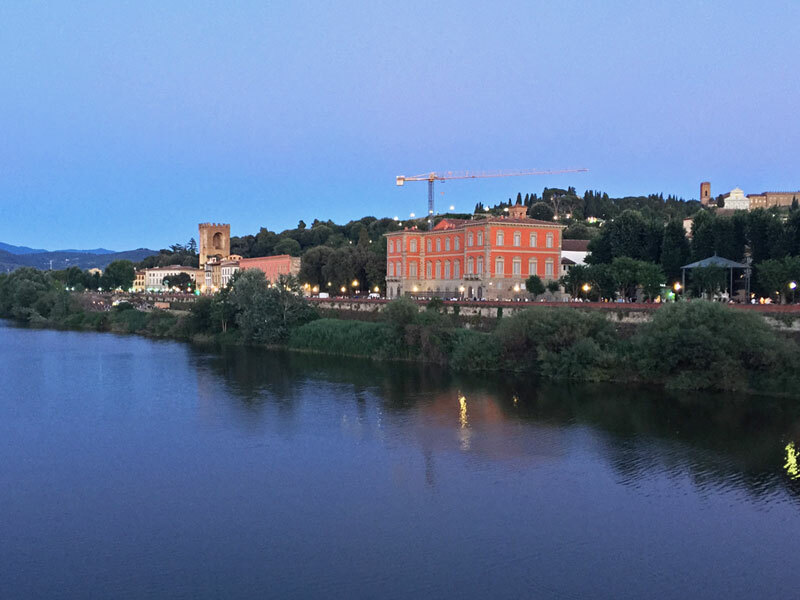 Last night, however, I was on Ponte alle Grazie for a completely different reason: to watch the fuochi d’artificio (fireworks), which we call “fochi” in Florence to celebrate the Festa di San Giovanni, Florence’s feast day. I have only seen the fochi a couple of times since I’ve been living here. 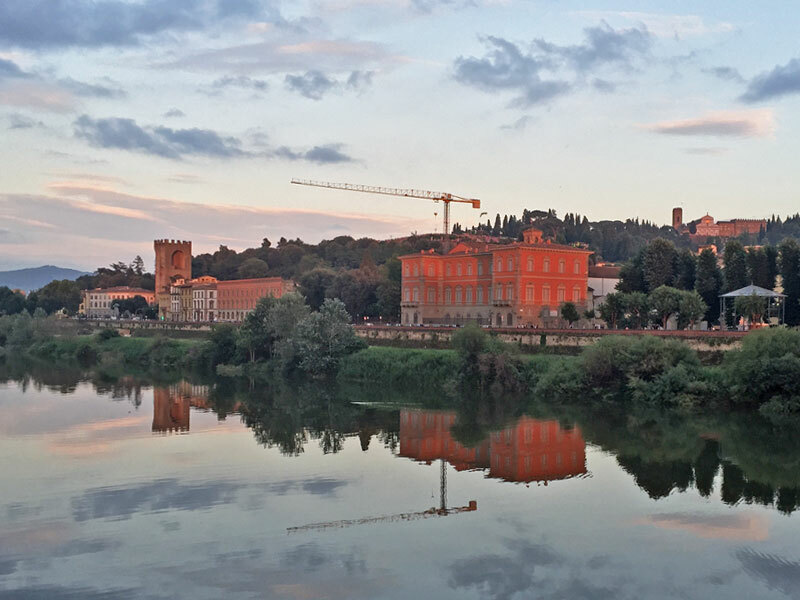 A few years ago, I watched the fireworks from Ponte San Niccolò and wrote about it in a blog entry. In the morning, the city hums outside my apartment windows. Shortly after the sun rises, I am awakened by the garbage truck that beeps as it reverses into position in the piazza below. I bask in the sounds of my beloved city as it awakens. I slowly get up when I hear the church bells ring seven times. At the same time, I hear the workmen at the cantieri (construction site) in the piazza arrive and greet each other. These are some of the familiar sounds in my neighborhood that I associate with being home in Florence. This summer more than ever the weather seems to be a bit quirky in Florence. Almost ever day, the weather surprises me by how it can change so quickly and dramatically. It could be sunny in the morning, then it’ll begin to rain, and just when you least expect it, the sun reappears. Yesterday, we had a temporale (thunder shower) in the afternoon and then in the early evening the skies cleared and made way for a lovely sunset. After being in Paris for two weeks, something shifted in me. The city did not change, but I did. At the beginning of this week, I felt completely empty. I tried many different things to cheer myself up, but nothing seemed to work. Running didn’t give me a high, I wasn’t inspired to take any pictures, and my writing projects didn’t excite me anymore. 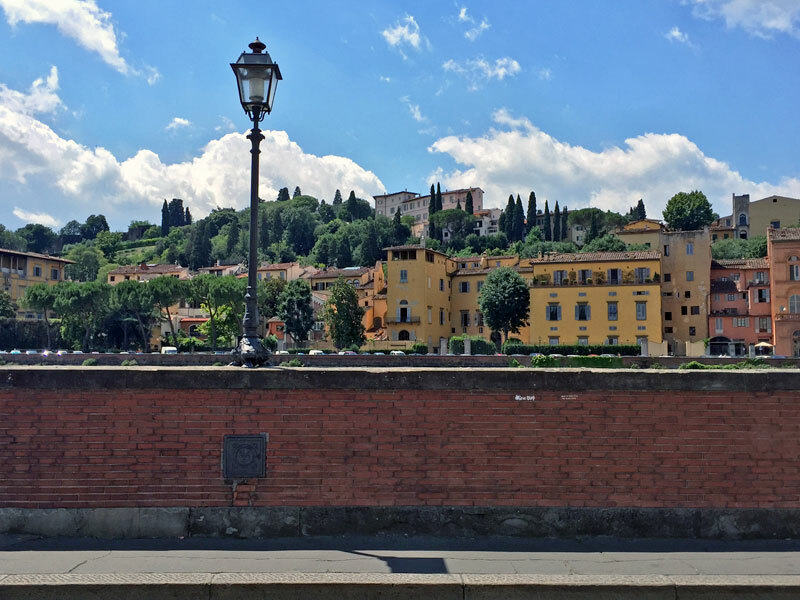 When I was in Florence just a few weeks ago, I had focused on one writing project in particular and was happily working on my fourth draft. But after returning to Paris, I felt completely empty as if I had nothing to write.